"A groundbreaking book...truly of the first importance!" 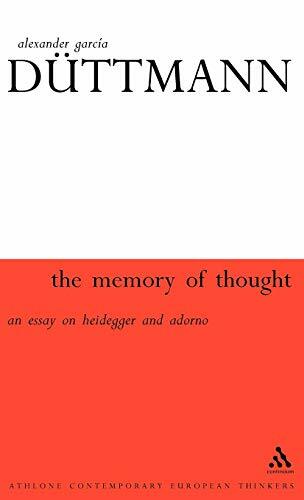 A reconstruction of aspects of the philosophy of Adorno and Heidegger. 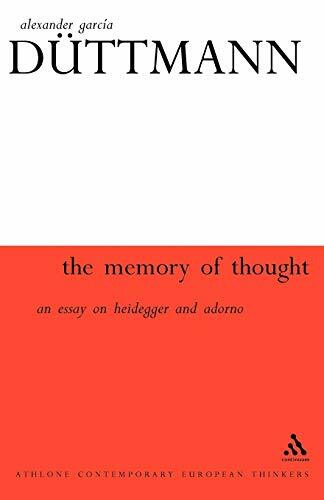 This title reconstructs the philosophy of Adorno and Heidegger in the light of the importance that these thinkers attach to two proper names: Auschwitz and Germanien. In Adorno's dialectical thinking, Auschwitz is the name of an incommensurable historical event that seems to put a provisional end to history as a negative totality. In Heidegger's thinking of Being, Germanien is a name inscribed in an historical mission on which the fate of Western civilization seems to depend: it thus becomes the name of a positive totality of history.